It’s safe to say that Raamla Mohamed has a gig that most writers, especially in the #BlackTwitter collective, would envy (do not debate me on that). 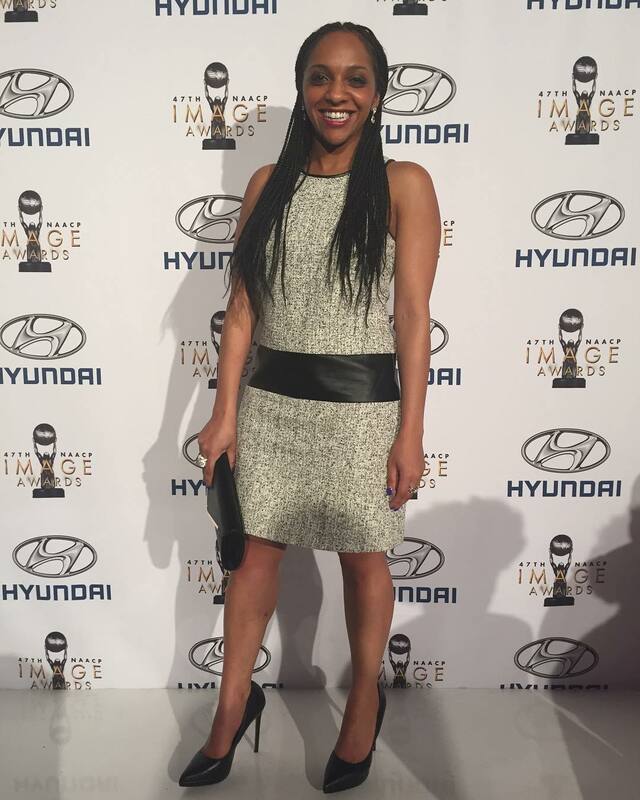 The LA native is immersed in Shondaland as part of the writing team for Scandal. Go on, feel that envy burning up your soul. Mohamed grew up in Los Angeles, raised by a Somalian dad, who was a computer programmer, and a South Bronx-ian mother, who was a court reporter, and zero connections to the entertainment world. Despite living an hour away from Hollywood, Mohamed wasn’t sure that she’d ever break into the business, but then it happened after years of hard work. What was your trajectory in terms of breaking into the world of TV writing? Do you have a degree in the field, or did you initially plan to do something else? I was an undergrad Film Studies and English major at Columbia. But I had worked for the WNBA team the Los Angeles Sparks, so I thought I would get into sports marketing (mostly so I could get tickets to basketball games). However, I did not get a job at the NBA like I wanted, so then I ended up working for a few years in off-Broadway theater in NYC. I loved watching so many plays, so I started writing my own stuff and I decided to go to grad school for writing. After graduating from USC, I ended up getting a job as a Writers’ PA on Grey’s Anatomy. And then have been in Shondaland ever since! Diversity in TV and film is one of the hottest topics in pop culture right now. How do you feel about where we are in terms of seeing diverse characters? It makes me so unbelievably happy! It’s crazy that when Scandal started a Black woman starring in her own show was such a novelty. But now there are so many shows featuring strong, interesting and dynamic characters of color. I’m really ecstatic that there is a world where Atlanta and Insecure and Master of None and This Is Us and Empire and Luke Cage can all exist during one season rather than diversity being attempted every few years and then forgotten about. And clearly these are the stories everyone wants to see because they are doing incredibly well! How do you feel about diversity behind the scenes? I feel that diversity behind the scenes is equally as important. We spend hours in the writers’ room together, not just talking about our characters but our own lives. It is so valuable that writers who are not the same race or the same gender or come from the same economic class are able to share thoughts and change perspectives. It makes for great stories on the screen and great people behind the scenes. And that is everything! Describe working on Shonda’s team in three words. What are some of the biggest lessons you’ve learned about yourself as a writer while working on Scandal? I’ve learned a lot by working on this show. I’m basically a dorky sponge when it comes to learning something. I take it all in. The one thing I’ve learned and still try to remember is in the words of Olivia Pope “to trust my gut.” When you’re on set especially, you work with the director and watch takes and make suggestions that steer the scene toward the writer’s intent. When I was a younger writer, I would often be intimidated by the scope of the production, my lack of experience and the overwhelming experience some of the directors had. But eventually, I stopped being afraid and started to listen to my instincts. Now I am confident to speak my mind and share my opinion in an articulate way to get what we need from the page to the screen. That then translated into being more confident in the room and on the page. But I’m still learning. When you stop learning, you get schooled real quick. What’s the most important thing a writer should keep in mind when it comes to character and story development? It’s all about character. Maybe you have a cool idea that has a huge set piece or some action, but stories without strong characters are uninteresting. Create a character you’d like to see on screen or on someone you know and love that is complicated as hell. Really spend a lot of time knowing that character, their wants and fears. And THEN create your story. If it’s the other way around, you’ll have to go back anyway and it will be much harder. Speaking of characters, are you #TeamFitz or #TeamJake? It’s funny because I’ve oscillated between the two over the years. I used to be real into Fitz. But then Jake stole my heart. And then I went back to Fitz. I love them both for different reasons, but now I’m Team Olivia. What can we expect from Scandal this season? That’s a great question! I can’t tell you though. I like my job. Share some advice for aspiring TV writers trying to break in. Write, work, network. Don’t spend too much time on one thing. It shouldn’t take you a year to finish a pilot. That means you’re too attached or something isn’t working. Go to something else. I know a very successful writer who wrote a dozen specs before breaking in. And she said that she learned something on each script. Also, work in the entertainment industry. Get to know people. You don’t have to find a job on a TV show. Work at an agency or marketing. Learn the various facets of the world. And finally, get to know the people on your level. A lot of the friends I made when I was an assistant are also now writers and/or producers like me. And we forged genuine friendships that were based on our mutual hustle. It feels great to rise together! 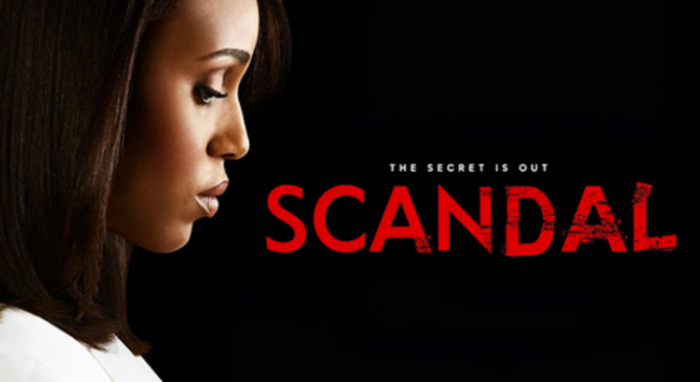 *Scandal returns tonight at 9pm ET followed by How to Get Away With Murder.